How does a television viewer form an opinion about you while you are being interviewed on a news or current affairs programme? Obviously, the words you speak in response to the questions put to you by your interviewer are paramount when it comes to the viewers making a judgement. If, for example, you are a climate change activist being interviewed about some new research showing the earth’s temperature is warming up again, and you come out with a phrase like, “All those people in the world who dispute the findings of researchers and do not believe in climate change, should be lined up and shot through the head”, then those words are likely to receive a very hostile reaction. Even some other climate change campaigners are likely to come out against you. Your interview has been a disaster. However, it’s not just what you say that might backfire on you. It’s also your overall manner: how you address your interviewer; whether your body language suggests that you are feeling relaxed or, under so much pressure, that you are on the point of meltdown; also, how you interact with anyone else who’s sitting on the studio couch with you. Firstly, the initial reply to an interviewer’s question (i.e. the first few words that come out of your mouth in response) can be very revealing. Let’s say you are a politician in the United Kingdom, being questioned about Brexit. You are a Remainer, who is firmly of the view that Britain should stay within the European Union, notwithstanding the result of the referendum in which the majority of the British population voted to leave. That’s a question that’s a bit over the top, but an interviewer might still feel like going with it, given the highly paranoid level the Brexit debate has reached. How do you respond to a question like that? When someone agrees to be interviewed, they have to accept the fact that the news presenter can put to the interviewee whatever question they like, no matter how “out-of-line” the interviewee considers it to be. That’s the rule of the game, and is part and parcel of what a free media is all about. So, adopting a disgruntled demeanour and replying with the words, “I’ve not come to the studio today to answer questions like that. How dare you make that allegation against me” simply sends a signal to the viewers at home that the presenter has hit the nail right on the head, that the interviewee knows the interviewer is dead right and that the interviewee has been totally thrown and rattled by the question. A better way of responding is as follows. First of all, instead of looking angry, the interviewee would be far belter off smiling, despite the hostility embedded in the question. React like this with a grin on your face and many viewers won’t take a nasty view of you. By contrast, reacting in a hostile way, both in terms of the language used and the manner adopted, can suggest that the interviewee is guilty of the charge made against them… and they know it. Furthermore, the worst thing you can do in response to a piercing question being put to you is to storm out of the studio. Ripping off your microphone when a tough question is thrown at you and walking away from the camera while shouting, “I’m not prepared to take any more of this”, is a sure sign to viewers that this is a spokesperson who’s on the run and that the interviewer was absolutely correct in putting the tough question to him or her. To sum up: if an interviewer tries to raise the temperature of an interview by firing off some really penetrating, embarrassing or unwelcome questions, stay cool, keep your language under control and thereby lower the temperature. Then there’s the question of how you interact with somebody who’s sharing the same interview slot with you, but whose views you totally disagree with. Let’s come back to my earlier example about the climate change activist. He or she is on the studio couch on a Breakfast News programme, sitting alongside a rival spokesperson, who has profound doubts about some of the research that supports the climate change agenda. Obviously, the two spokespersons are going to differ on must of the points that come up for discussion during the studio interview. How they react to each other could determine to a large extent how the viewers regard them and what reaction the audience has to the points they make. The most important thing to bear in mind is that your opponent is as entitled to convey their views to the public as you are. This means it’s always best to be seen respecting your rival’s views even if you disagree with them strongly. The language you use will again be important. Don’t hurl insults at your opponent. Let them get their points across. Surely, if the position they maintain is as absurd and ridiculous as you believe, that will become apparent to the audience through what your opponent says. It won’t require vindictive or inflammatory language from you for the viewers to realise this. Again, if you want the viewers to form a hostile view of your opponent, this won’t be helped if your own body language is hostile. 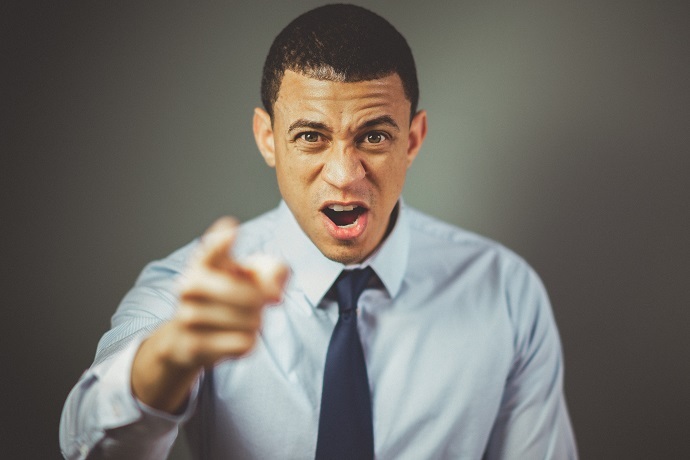 Continually remonstrating with your hands and/or arms, trying to interrupt the whole time when your opponent is speaking, or almost demanding that the interviewer stop your rival from speaking distracts the audience. No longer are they listening to the points your opponent is getting across, points which in your view are completely without foundation. No, instead they are absorbed by your over-the-top theatrical performance on the studio couch. If you had hoped that your rival would emerge from the interview with their position on climate change completely wrecked, then that hasn’t happened thanks to you being the centre of attention. In such circumstances, therefore, the best approach to take is as follows. No matter how much you disagree with your opponent, be seen to be listening to what they have to say and clearly considering the points of view they are conveying. Let them finish their answer to the question the interviewer has put to them and then reply when invited to do so by the news presenter. If you come under attack from your rival, don’t turn nasty. Take it in your stride and reply with restrained language, a smile on your face and a calm demeanour. That way, you are more likely to emerge as the “victor” in the minds of viewers who’ve watched the interview. Then there’s the radio interview. Obviously, any hostile body language or nasty facial expressions don’t come into play when being interviewed for a radio programme. However, there’s obviously more attention on your words on the part of the listener. One of the ways in which an interviewee can often come across as being remote and distant from their audience is when they take part in a radio phone-in programme. Such an occasion is not so much an interview, more a conversation with the listeners. When taking part in a phone-in programme it’s very important to converse with your audience, in particular the listener who is on the line at any particular time putting a question to you. Here’s an example. Let’s say the BBC World Service is broadcasting a week of phone-in programmes about major illnesses and diseases, and to what extent scientific research is making progress in improving treatment or finding cures. Today, the subject is autism. You are an international expert on this subject having spent years working for a research institute investigating the condition. The BBC invites you to take part in the programme to answer questions from members of the public all over the world. Halfway through the programme, a call is received from a lady called Nelly. She’s a senior nurse at a clinic in a remote village in one of Africa’s states. The clinic has very basic facilities and the degree of knowledge and expertise about autism is very low. Last week, a mother called Florence arrived at the clinic with two of her sons. She has six children two of whom, David and Winston, have autism. With little or no medical help, the struggle in looking after the two boys, as well as the stress experienced by the rest of the family, is exhausting. Nelly asks you, the expert, how the family can be helped. You are losing your audience straightaway. It’s sounding like a seminar for medical students, rather than providing a helping hand for a nurse and a family living in a country where assistance for autism is minimal. What’s important is to talk directly to the caller. Rather than commencing your answer with the words above, talk directly to the nurse. If that’s the response from you, the expert, millions of BBC listeners around the world will gain the impression that you are genuinely interested in what can be done for David and Winston. It’s better replying using this approach than churning out the details of some academic research, most of which will go straight over the heads of most people who are tuned in. Overall, then, whether you’re appearing on TV or radio, the key requirement is to be: easy-going in your body language; pleasant towards anyone you’re conversing with (even though you might oppose everything they stand for); and clear, but restrained, in your use of language. In other words, defy the age we currently live in, where – thanks largely to social media – interaction between people is becoming more nasty, vitriolic and vicious.